Lebanon accommodates over one million registered Syrian refugees; however, the exact figure is estimated to be much more. The country has long played a major role in hosting refugees, dating back to 1948 when many Palestinians fled during the Arab-Israeli conflict. At present, the total number of registered Palestinian refugees living in the country is approximately 450,000. As a result of continued regional tensions, Lebanon faces tremendous societal, economical and political pressures. Today, Syrian refugees struggle to access healthcare services, education and employment opportunities due to Lebanon’s stringent residency rules, and almost 70% are unable to secure legal status. Similarly, Palestinian refugees also face restrictions related to their freedom of movement as well as dire living conditions. According to a survey conducted in 2015, 65% of Palestine refugees from Lebanon and 90% of Palestine refugees from Syria in Lebanon live in abject poverty. It is important to note that the Lebanese population have not moved through this ongoing crisis unscathed. In fact, around 170,000 Lebanese were living below the poverty line by 2015. In response to increasing social tensions and community vulnerability, Generations For Peace (GFP) announced a three-year programme in 2016 to engage youth in activities that foster greater cooperation and positive relationships, and initiate dialogue on human rights issues. GFP volunteers have been working hard to support Lebanese, Syrian and Palestinian youth in areas that have borne the brunt of the Syrian refugee crisis. The programme, which is funded by the European Union, through its European Instrument for Democracy and Human Rights, is implemented in collaboration with the Development for People and Nature Association and the Beirut Centre for Development and Human Rights. Youth from Hasbaya, Miye ou Miye, Tripoli, and Tyre share their experiences of living in Lebanon. Although they come from diverse backgrounds, they are united by a wish to see future generations afforded equal rights and opportunities. 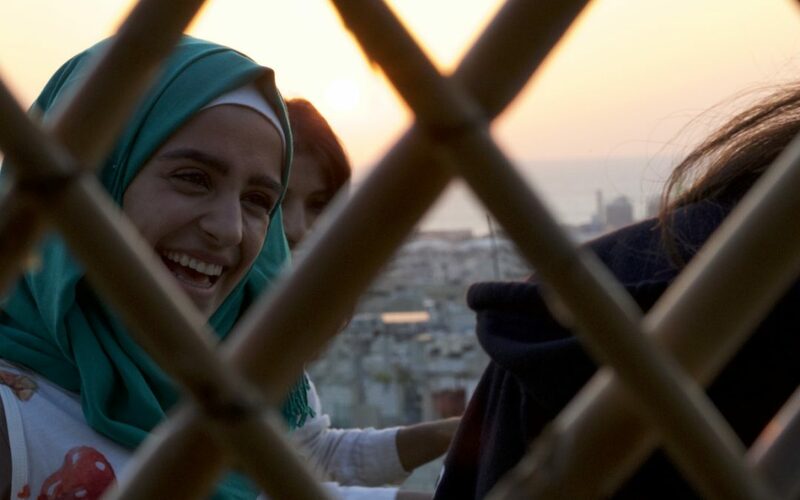 Before joining GFP, Liliane did not interact with non-Lebanese youth: “I didn’t have the courage before to mix with them (Syrians), I preferred to have friends from my nationality.” Since taking part in the programme, she has made both Palestinian and Syrian friends: “I changed for the better. At GFP we work in groups, as teams. I used to prefer to work alone, to have my ideas. But after I participated, I discovered that sharing ideas is great – I knew more and others knew more.” Liliane now feels like an active part of the community and believes that exchanging ideas with others is key to creating a better society for all. Over time Lilliane has also broadened her knowledge on issues that affect her generation and would like to see the programme implemented across Lebanon: “I learnt about human rights. I learnt that people from other nationalities are also people, whether Syrian, Palestinian or any other nationality. Maybe if everyone started with themselves, we could make a difference. Every young person should know the rights that he/she has. Every young person should live in equality,” she says.